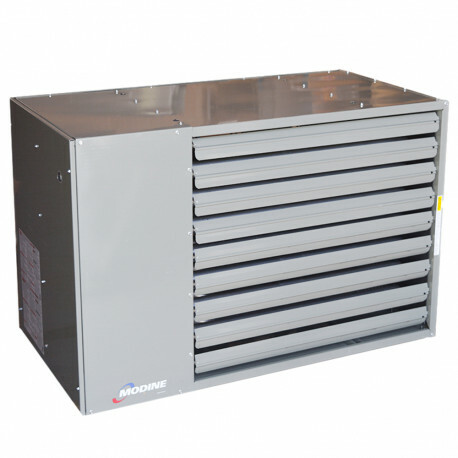 Modine PTS series are separated combustion type unit heaters which draw 100% of the combustion air from the outside. This design is most practical for facilities with dusty or humid environment. PTS heaters combine the benefits of low profile, flexible installation and powerful output into a product which is well suited for a variety of commercial and industrial settings - such as warehouses, manufacturing spaces and many others. Dimensions (D x W x H): 32.83" x 42.53" x 39.56"